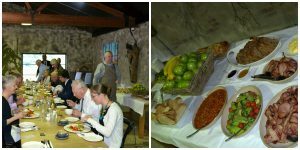 Our meeting of the 30th November was a breakfast meeting held at The Mill in Bowral. We had a delicious breakfast and then retired to the conference room to hear from two inspiring women – Kiara Rochaix from Oxley College and Jennifer Star from Tara Ed. “Good morning, my name is Kiara Rochaix and I am a year 10 student at Oxley College. When I was asked to speak to you about football, I wondered where I could start. Football is a huge part of my life, and it is what has shaped me into the person I am. Recently I was selected in the Australian All School Girls U19 squad which will tour the United Kingdom in January next year. It was a huge honour to be selected in this squad, and I was able to get there through the school representative sport system. First I was selected in the ISA team which competed at the CIS championships earlier in the year. Following this tournament I was selected in the CIS team and we played at the NSW All Schools tournament. Our team was able to win the tournament for the first time and it was a brilliant experience. From this tournament I was fortunate enough to be selected in the NSW Girls All Schools team which competed in the Australian All Schools tournament in August. I was one of the youngest team and I was able to learn a lot from the older and more experienced players. It was from this tournament that I was selected in the Australian team. 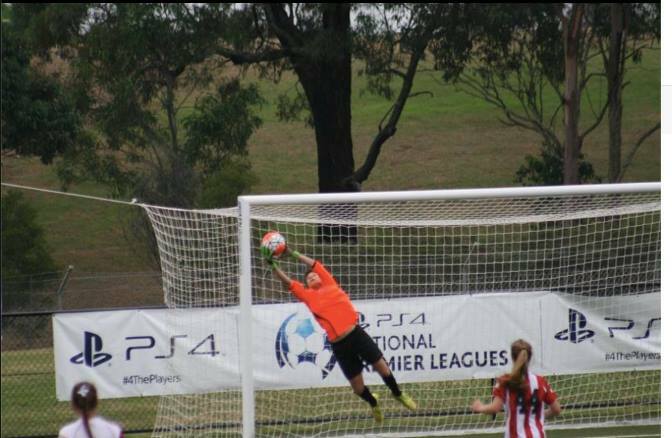 I am a goalkeeper, arguably one of the toughest positions in football. As a goalkeeper you may only touch the ball a few times a game, but must be ready to pull off a save at any moment. You must be able to keep your focus and direct the defence in front of you. I like to say being a goalkeeper is quite like life, you can do many amazing things but sometimes people will remember your mistake. It is a mentally touch position as a goalkeeper, and it is hard not to blame yourself for a conceded goal. You have to learn to pick yourself up and move on. In the tour next January the squad will be playing a variety of teams including England, Scotland, Wales, Ireland and Northern Ireland school girls, as well as a variety of youth academy teams. This will be a real challenge and a fantastic experience. This tour also opens up the opportunity to be scouted by universities or football clubs in the United Kingdom. 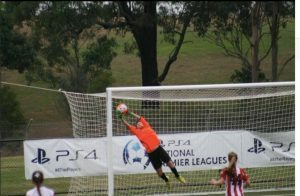 Kiara has set up a GoFundMe (https://www.gofundme.com/2zfc6mkc) page to help her raise funds for her upcoming U19 All School Australian Girls football team tour of the UK next January. Then we heard from Jennifer Star who gave us a very good round up of what she has been doing with Tara Ed in India since 2009, especially her time with the Rosary English School in Ajra, India. In 2009 they received funding for 20 reconditioned computers. 4 Australian teachers were sent to the school for a month to teach the Indian teachers how to use computers. The Australian teachers also helped to develop and equip a library as well as training librarians. 2012 saw the start of the Star Kids scholarship programme which has seen 246 students since 2012. Girls between the ages of 11 and 16 have been the main focus as they are the children who seem to fall through the cracks. 2013 saw the installation of an internet connection and Skype communication in the form of open classrooms with Mulwarree and Bowral High Schools who both have a sister school arrangement with the Rosary School. 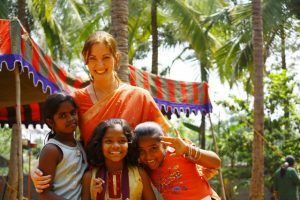 2014 saw the original 23 Indian teachers taught by Tara Ed take their knowledge into the community and teach a further 70 Indian Teachers. The school now independently runs 4 teacher training programmes a year. 2015 saw the current gender balance at 72 girls per 100 boys. The aim it to reach gender parity by 2020. The completion of the girls amenity block in December 2015 is a giant step towards this. 2016 saw the identification of pre-primary (pre-school) education as the next step that needed developing. With the help of a grant from the Australian government they have built 3 new classrooms – 2 high school and one preschool that has 20 boys and 20 girls. So what is the measure of the success of Tara Ed? There are obvious physical changes with new classrooms and new amenities. 23 teachers have had sustained exposure to Tara Ed teacher training. Over the past 3 years all the students who have attempted the school certificate have passed. New classrooms have seen the student body grow from 426 to 591. Increased student retention – is at 74% and is above the national average. 2016 is the last year of Tara Ed with the Rosary school as they now have everything they need to be sustainable as well as teaching other teachers throughout the surrounding districts. There were 27 schools in the initial programme. many of these are now fully sustainable and Tara Ed are only involved in 8. May 2017 will see a reciprocal teacher exchange with a number of Indian teachers coming to Australia. Stay tuned! At the completion of her presentation we inducted Jennifer into the Rotary Club of Berrima District as an Honorary Member. Welcome to the Rotary Club of Berrima District Jennifer Star – it is an honor to have you!